No wine and dine for us this year. We are branching out to other races from runDisney and I am registered for NYC Marathon. Not sure what C has on her fall calendar yet. This will actually be my first year registering for the wine and dine! I am beyond excited! Ha! Will run for beer. Love it! I'm ready to register at noon tomorrow! I hope it doesn't sell out too quickly. I've even convinced Mike to do the 5k with me. Bondi bands are great! I didn't get into the hop this time but they are always fun! It'd be a dream to run the Wine & Dine at Disney! It combines everything I love, after all :) that headband is hilarious. I just had a post-workout, ice-cold beer for the first time last week and WHOA does it taste good after a tough sweat session! I'm absolutely doing Wine & Dine this year! 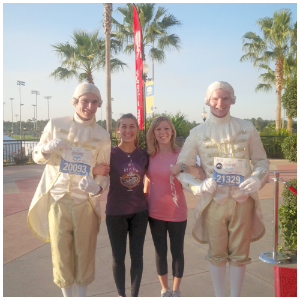 I'm cutting back on runDisney, but Wine & Dine is my "must do"! Fun giveaway. I would LOVE to do wine and dine one year. It looks like so much fun. Maybe it'll be in the cards for me in a year or two. So shocked at how fast Wine and Dine sold out this year! I'm not running it in 2015 but it's a race I'd like to do again someday. 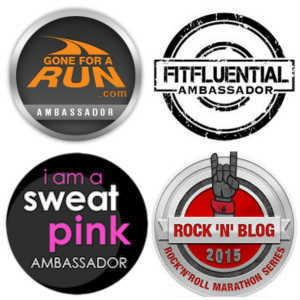 Not doing wine and dine but hoping to do PHM again or perhaps the Disney World marathon weekend. not running but maybe I can volunteer! 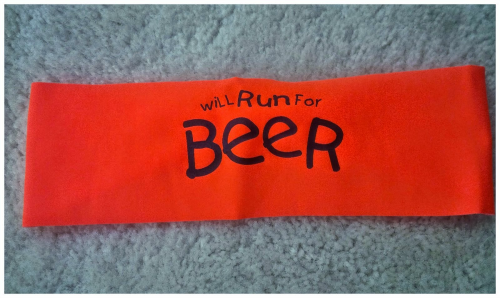 I am all about the Will Run For Beer headband. I have a Will Run For Beer shirt! 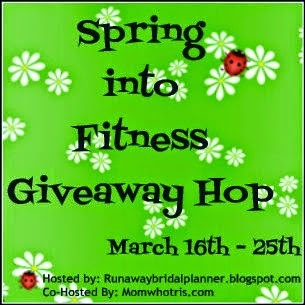 I won't be, but I hopefully some other races will definitely hit my calendar:) Thanks for linking up! Oh and I love the new header on your blog, creative idea!! !